Audi has been promoting the Audi Q5 with “Audi Unboxed”, an animated television commercial. 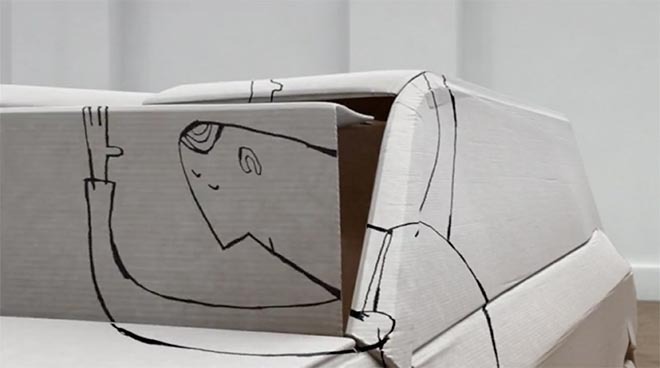 An 2D animated drawn character interacts with a 3D cardboard box, manipulating the folds until he’s able to hop in as the driver of an Audi Q5 crossover vehicle. “We’ve unboxed the box”. 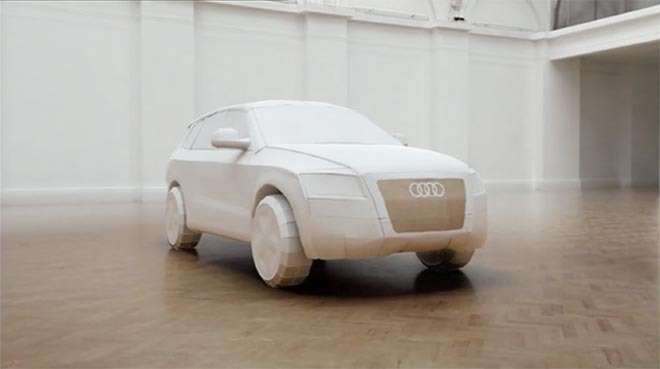 Unboxed was developed at BBH London by creative directors Nick Kidney and Kevin Stark, creatives Joakim Saul and Maja Fernqvist, and producer Olly Chapman. 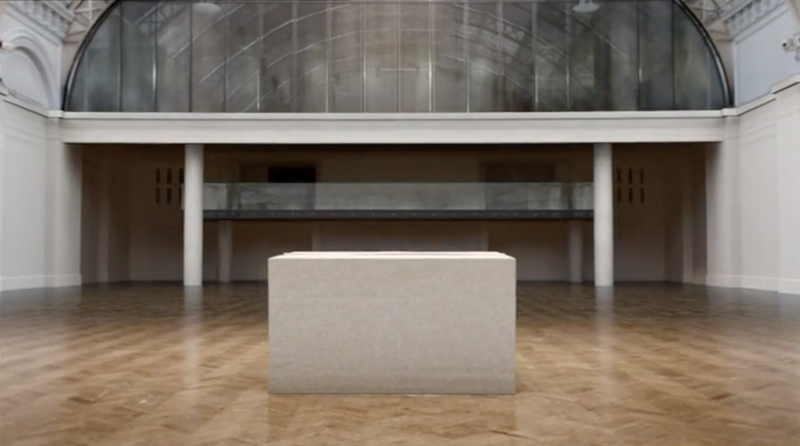 Filming and animation were produced at Passion Pictures and 1st Avenue Machine by director Aaron Duffy (live action and CG) and Russell Brooke (2D animation), with director of photography Tony Brown, creative director Arvind Palep, producer Belinda Blacklock, Anna Lord, executive producers Serge Pathak and Michael Adamo, live action producer Patrick Duguid, VFX supervisor Neil Riley, 2D designer/animator Tim Sanpher, head of CG Jason Nicholas, technical director Julian Jodgson, editor Jaime Rubio, 3D animators Chris Welsby and Wesley Coman, lead lighter Harry Bardak, lighting and rendering team Stu Hall, Tommy Andersson, Quentin Vien, Claire Michaud , Guillaume Cassuto, compositors Neil Riley, Niamh Lines; Luke Carpenter; Quentin Vien, Claire Michaud , Guillaume Cassuto, rigger Chris Dawson, modelling team Ian Brown, Craig Maden and Dan Moore. Music is “The Car Song” by Woody Guthrie.